Why go through the hassle, expense and waste of wrapping paper every year? 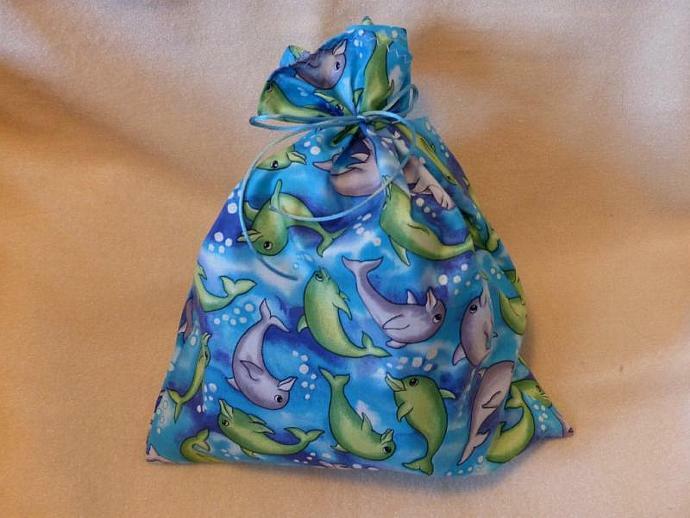 These fabric gift bags are easy to use and reusable year after year. 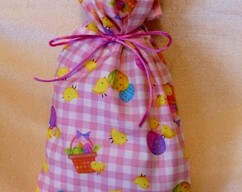 Each bag measures about 10 inches by 12 inches and they have a tie attached. This is a simple way to colorfully wrap gifts without all the waste of paper wrapping that just goes in the garbage once the gift is opened. These bags sell for $9.00 plus $4.00 for shipping to the United States only. I will carefully package the gift bags to protect them from damage during shipping. I am happy to make custom orders whenever possible. Please contact me with your needs and I will see what I can do. Many more styles and colors are available in my store. Please review my shop policies before placing your order. Thanks for looking!